Jackass meets Man vs. Food in this awe-inspiring and hilarious guide to extreme, artery-hostile cooking—based on the wildly popular YouTube cooking show (5.5 million subscribers). Harley Morenstein (a.k.a. The Sauce Boss), created EpicMealTime for the ex­treme chef in all of us. His kitchen crew (none of whom, amazingly enough, have had any culinary education or previous cooking experience), brings his artery-clogging visions to life—and now you can, too, using ingredients as diverse as waffles, chicken hearts, cake mix, tortilla chips, maple syrup, fast food menu items, bacon grease, Irish crème whiskey, cheese sticks, breakfast sausage, pounds and pounds of bacon . . . and much more! Harley Morenstein is a former substitute high school teacher from Montreal. 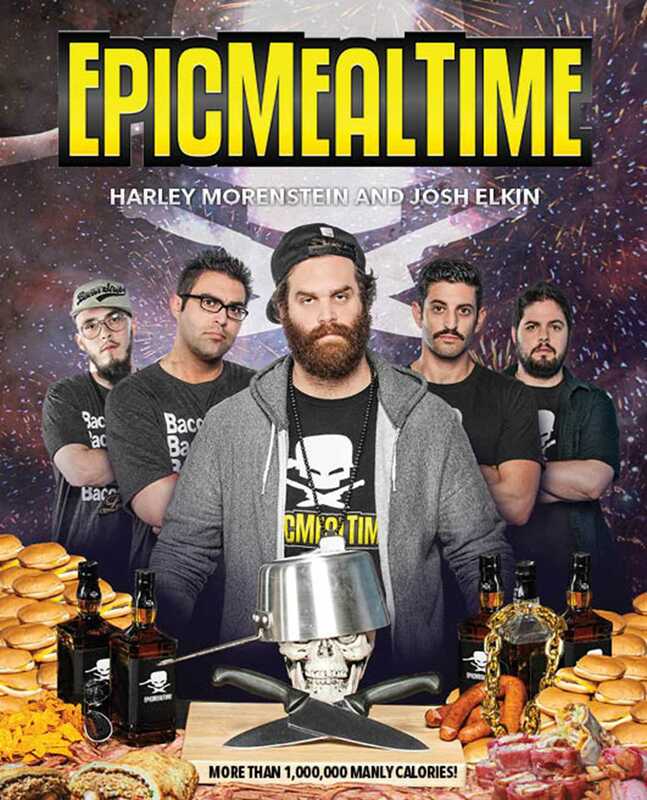 He co-created Epic Meal Time with his friends, in his backyard. Josh Elkin and Ameer Atari are always in the kitchen. They are heavily involved in the planning of meals and the purchasing of new kitchen equipment for episodes of Epic Meal Time.